This toothpaste is all natural and made with baking soda, bentonite clay, coconut oil, and essential oils. An all natural perfume that smells amazing? Yes, please! This scent is a blend of bergamot, clary sage, neroli, ylang ylang and cedarwood. It reminds me a bit of Bobbi Brown Beach, too! This gel is designed to calm and cool your skin post shaving. It’s 90% Aloe, 10% Essential Oils, so even if you don’t need it post shaving, it will be great after a day in the sun, too. I don’t think I’ve ever come across a natural soap bar I didn’t love – they just smell so good! This bar smells wonderful and it works as both a shampoo bar and a regular soap bar. Verdict: This box has a value of about $46. That’s pretty good for a $32.95 natural beauty box that works with smaller brands and etsy makers. I wasn’t a fan of the toothpaste this month, but besides that, every item in this box works for me! 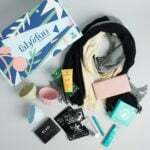 What do you think of the April Terra Bella Box? What was your favorite item? The perfume looks great! Liz, you have brought up Bobbi Brown Beach lately so last week I purchased it online from Sephora without having even smelled it. I LOVE it, thank you.!! I bought the spray and the rollerball. The spray lasts much longer but rollerball nice for purse. I think this is one of their worst boxes ever!! that toothpaste looks disgusting! Definitely dont think all of it is worth 33$! Liz, I have a question: the top of this review lists the price as $32.95, but when I went to add this to my wishlist, the price is listed as 17.95…. can you find out the correct price? If it’s only $18, I’ll definitely sub, and I’m sure a LOT of others will too, lol! Thanks! They used to have a lower priced “lite” box with fewer items. Sorry about that! I just updated the listing in the directory. I believe the $17.95 pricing was from their “lite” version of the box which is no longer available. I really like this box. 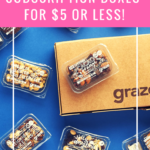 Don’t know if I can do another box at that price point (I already sub to over 20) but I’m keeping it on my wish list! I have the box above. I only want to try the shampoo bar. I’ll be swapping the rest if you’re interested. "This is a really pretty set! I'm tempted to cancel IPSY GBP for a few months and get this instead."